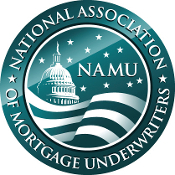 Aspiring mortgage underwriters wishing to learn FHA manual underwriting, from A to Z. Whether you're unemployed and looking to enter the mortgage underwriting profession, or you're currently working at a bank or lender as an underwriter, this FHA manual underwriting certification program will provide the skills you need to succeed as an effective FHA manual underwriter. Also ideal for underwriting managers looking to train their existing staff on proven FHA manual underwriting principles. The exam is a timed 1-hour open-book online "proctored" (via WebCam) 30-question exam (multiple choice/true & false). You must get 80% or higher to pass exam. NOTE: You may also re-take the exam up to 3 times with a 2-week "cooling off" period in between each failed exam. If you fail the NAMU®-CFMU exam three times, you must wait 1 year before you can re-register for the NAMU®-CFMU certification -- the 1-year waiting period will start from the date of the third failed exam. The NAMU®-CFMU certification will not provide you with a CHUMS #. You will still need to get sponsored by a lender in order to become a FHA DE Underwriter.